A traditional shinai is what you need to improve your Kendo skills! 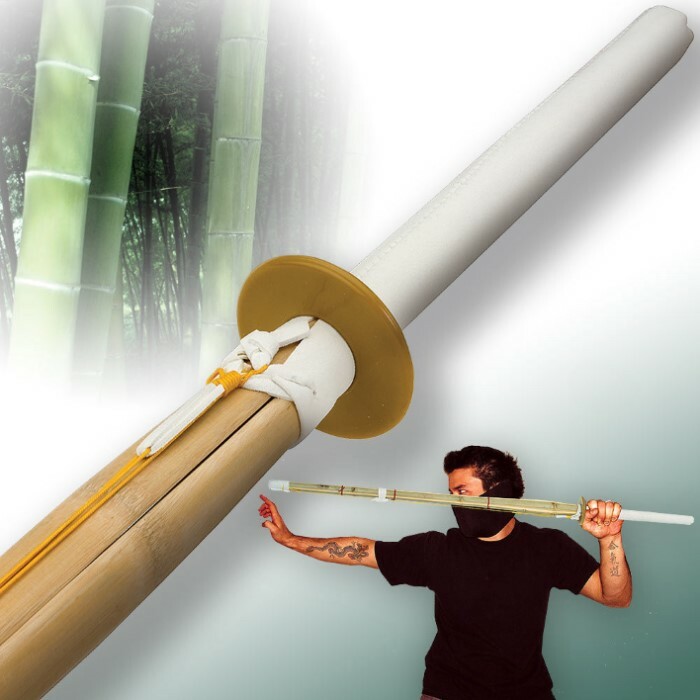 This professional practice sword is designed for rigorous training without injuring your opponent. Used for centuries, it is the standard which was set for Kendo training. This shinai has a sturdy bamboo construction with a sturdy handle. I've bought these a couple of times . My boys love to spar with them. They wrap them with duct tape first , said they last longer that way. Knowing them I probably will be buying more . These shinai are fantastic. My friend and I have already broken 2 of them, but I give it a 5 star review because of how hard we fight. I've still got bruises on several joints, but I love every minute of sparring with these! Ordered 2 Kendo swords and came in large box well padded box...yeah I know it was made from native material but who ever crafted this (Kendo) is a true craftsman..my kid has beaten me black and blue but gets them off the couch and brain sucking xbox! Bought 2 for me and my roommates. Whenever we have a dispute to settle we take it out in the yard with these. Well made strong and durable. And they hurt like h**l if struck by it. Good for practice and drunken idiots. I bought two of the bokken they were strong and held up the initial uses but after 6 weeks the bamboo snapped just above the handle on one good buy still bought a replacement. I do not know much about shinai but all the other places I checked and they were more expensive. I like this because it has a longer tsuka than my bokken and it is longer. It gives me more reach over my friends. Bought as a replacement for my Bamboo Shinai from Japan that I have had for 35 years, I was very pleasantly surprised and happy at the quality and craftsmanship of this Bamboo Shinai. It held up to my rigorous training schedule and matches. 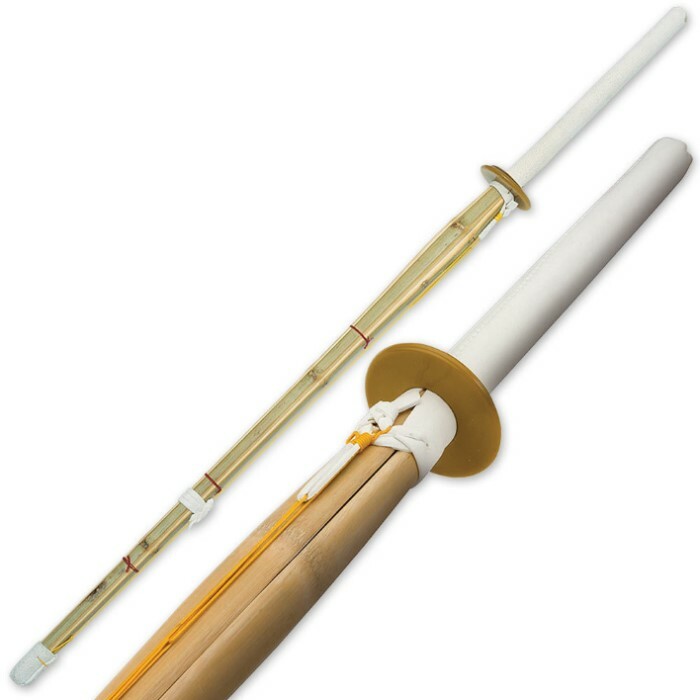 A well built and faithful Shinai with great inner spirit from the bamboo. Well done from a Kendo Master. Excellent product, super sturdy and solid for practice. I was surprised at how much impact these swords can handle. I would definitely buy another set but I'm sure it will be a good while before I need to as these are truly solid. Great price, excellent value, BUY THEM!!! Ordered a pair of these for my son's 6th birthday. Very impressed with the quality. We fight with them just about every day and hit hard and they are holding up very well.